11:30 Where to from here? 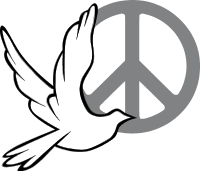 How can the Peace and Justice Committee be supportive of congregational efforts? Displays, handouts, or stories to share -- about peace & justice work in happening in your church, home, or community. or by phone: James C. Longacre, 610-845-7686, or Robert Walden, 610-861-0653.
more to come -- check back here after the event. Sponsored by the Peace and Justice Committee, Eastern District Conference & Franconia Mennonite Conference of Mennonite Church USA.